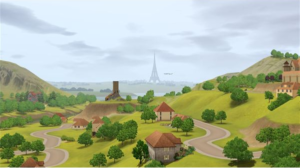 “The Sims 3: Generations” expansion pack adds a variety of new items and interactions that goes with each stage of life that the Sims have in the game. The additions may not be so obvious at first, but once you start playing the game with the new expansion pack items and interactions, you’ll see just how much the new content has to offer for your Sims to enjoy. Some of these new items include: The Sims 3 sandbox, tree houses, water slides, chemistry set, bunk beds, a costume chest to play dress up in, and much more. Sims can also now learn the chemistry skill, kids can have an imaginary friend, teens can learn how to drive, go to prom, graduate from high school, Sims can go on dates, have a bachelor or bachelorette party before a wedding, and much more. “Generations” is one of the best expansion packs because of the amount of content that was packed into it that your Sims can use throughout their life. They don’t have to go away to a foreign country to use it and all Sims benefit from it. Kids and teenagers in the game love to be outside playing. This can be at a local park in town or even in their own backyard if it has fun playground equipment for them to play with. “The Sims 3: Generations” and “The Sims 3: Town Life Stuff” packages added a nice assortment of this type of outdoor items for children to enjoy. Sims can purchase the new The Sims 3 Tree house, slides, swings, hopscotch, The Sims 3 sandboxes, spring riders, jungle gyms, water slides, and more. If they don’t have the money for these items, you could take your younger Sims to the park to play or just use the money cheat so you will have enough money to purchase the items. 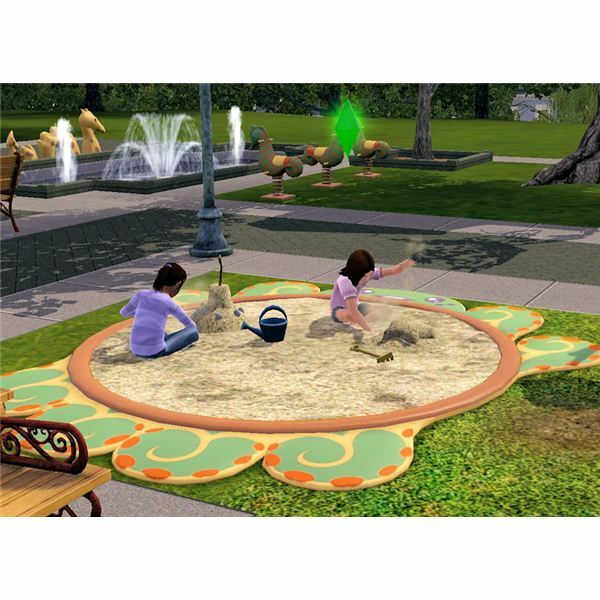 One of the hidden skills in “The Sims 3” is the ability for the children to make sandcastles. This skill only goes up to level four and the children learn it rather quickly. Just have the Sim child play in a sandbox or at the beach and you’ll notice that they will start to build better creations in the sand and have more options on what to make (if using the sandbox). Sandboxes – Just for Kids! The new sandboxes are only able to be used by Sims that are in the child life stage. The other ages can only “Destroy” a sandcastle. When the children play in a sandbox, they can chat with the other kids there, build the sandcastle that is at their level or below their level of sandcastle building, and they can also bury items. Sometimes the kids will even find a hidden treasure while they are playing in the sand. This isn’t something that happens often and it is usually just a small toy. Children are also able to make sandcastles at the beach or on other sandy terrains. When the kids make their creations in the sand on this type of terrain they don’t have the option to build a certain type of sandcastle and they also can’t bury anything there. After the child is finished with their masterpiece, they can destroy it or leave it there for others to admire or destroy. Big brothers or mean spirited Sims really get a kick out of doing this! There are ten different types of sandcastles or sand creations that The Sims 3 kids can make out of sand. The hidden skill level of sandcastle building that the kid has determines which types of sandcastles they can make in the sandbox or on the sandy terrain. After the kid has learned how to make a certain type of sandcastle, they will be able to build it again and choose to do so from the drop-down list when playing in the sandbox. However, this is not available when making a sandcastle at the beach or on other sandy terrain. As of now there are only four levels to this type of hidden skill and the types listed above are the only types of sand creations that children can build in The Sims 3 sandboxes. Additional types or levels may be added in future expansion packs or stuff packages, but that isn’t very likely.